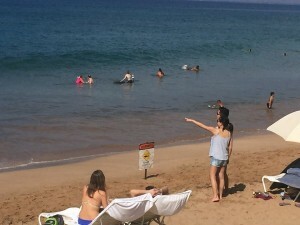 Witnesses to yesterday’s shark sighting incident in Wailea described the shark’s behavior as “aggressive,” saying a large tiger shark pursued ocean goers in the Ulua and Mokapu Beach areas. Raimo, who was out on the water whale watching at the time, said the paddle boarder “escaped the first encounter and paddled in a large circle while the shark stalked him.” Raimo said he and his wife were eventually able to get the paddle boarder into their 17-foot Dory rowboat, and rowed the man back to the beach with his SUP in tow. 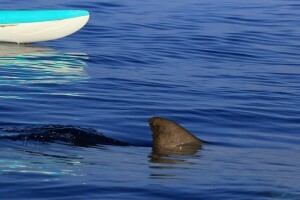 A photo of the shark following the paddle boarder was captured right before the man jumped into the couple’s boat. 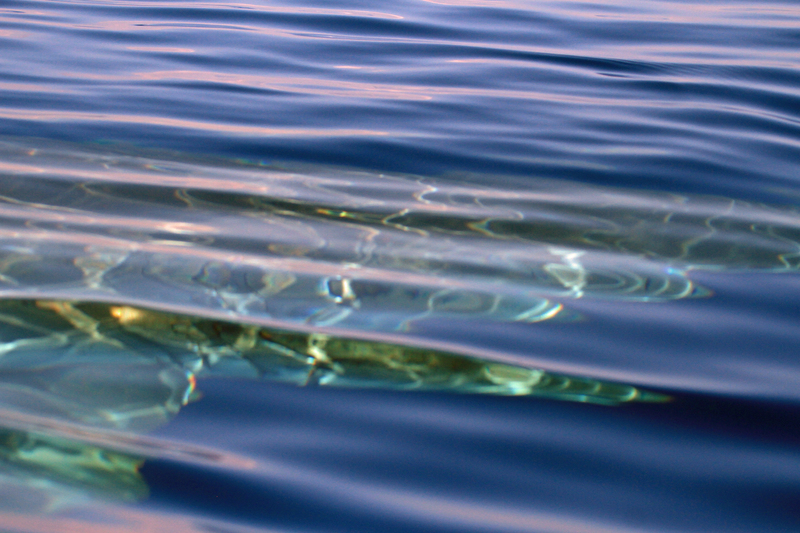 Raimo described the shark as “easily 16 to 18 feet,” and said the water was “gin clear.” Often times, experts say murky water conditions can attract sharks. 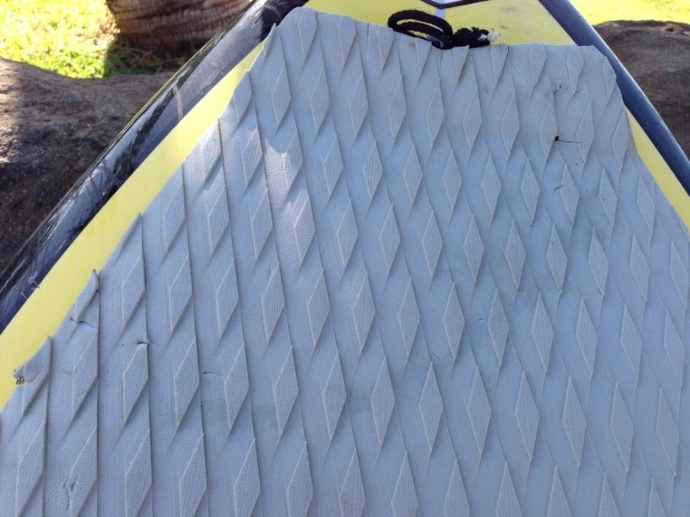 Others also reported similar activity in the Mokapu area, just north of Ulua Beach saying two sharks, one described as approximately 16 feet, pursued two individuals on paddle water bikes. 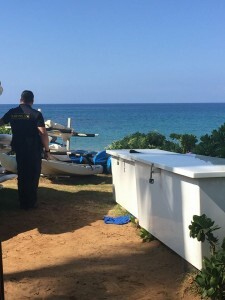 Witnesses tell Maui Now that the paddle water bike operators were about a half mile out when the incident occurred sometime before 11:30 a.m.
No injuries were reported. 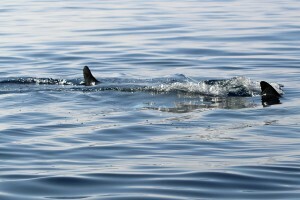 Bystanders observed officers with the Department of Land and Natural Resources on scene and shark sighting signs posted in the area. 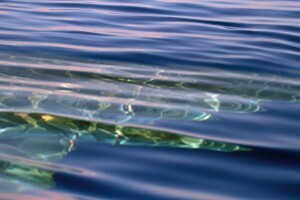 DOCARE was called about 9:30 a.m. on Saturday by the Maui Police Department and responded to a report of a shark sighting off Mokaou Beach. 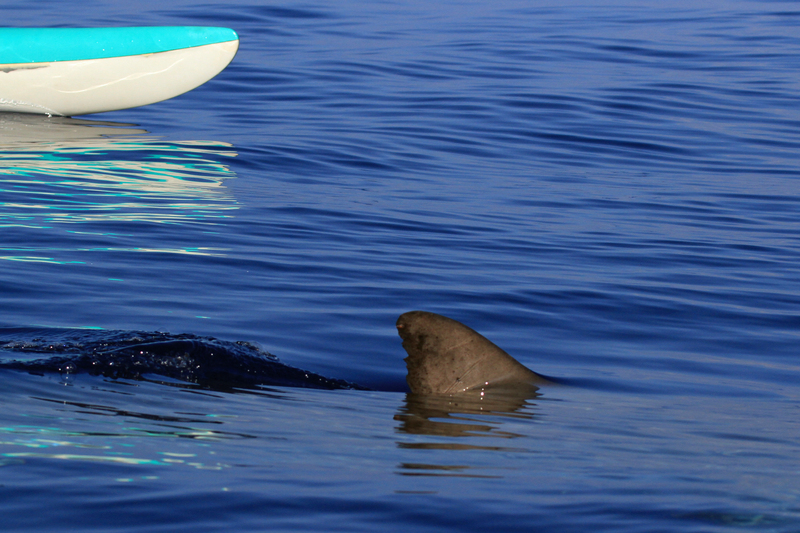 DLNR Communication Specialist Deborah Ward said three people were about a mile offshore on rented “bike boats” when a tiger shark they described as at least 15 feet long began to follow them and bump their crafts. 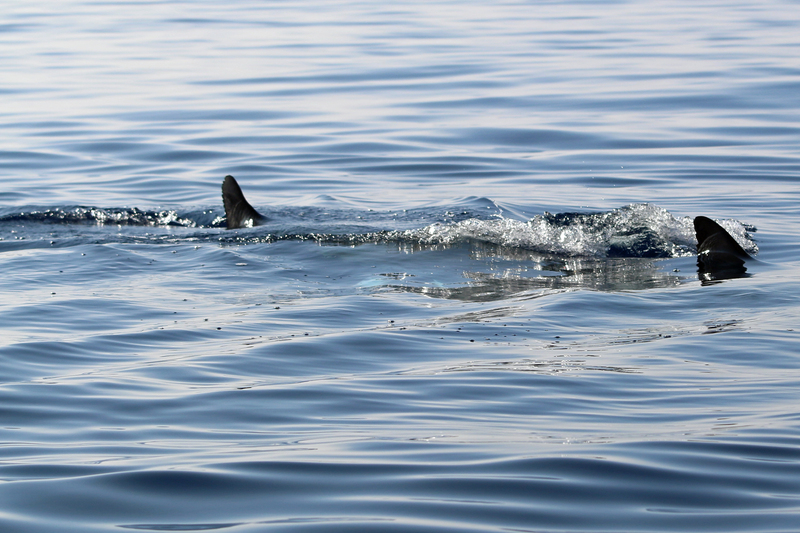 Ward said it followed them in to about half a mile offshore as they headed to shore. 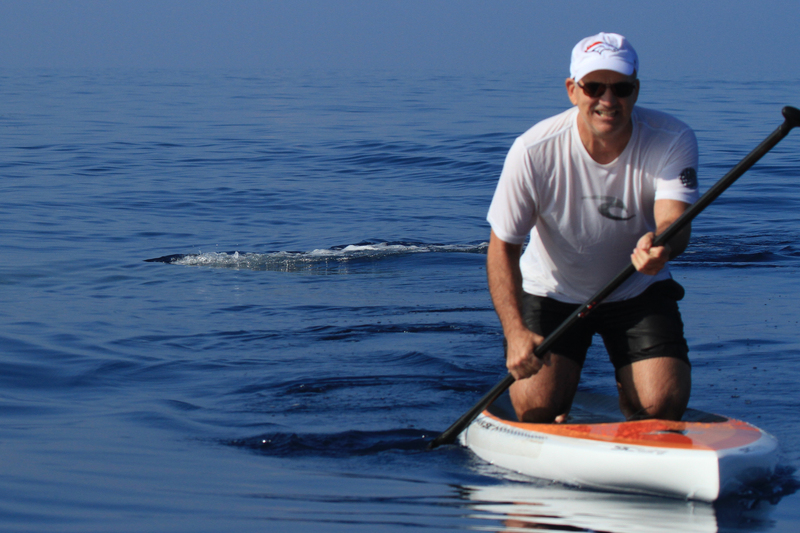 They notified lifeguards who patrolled the ocean on jetskis. 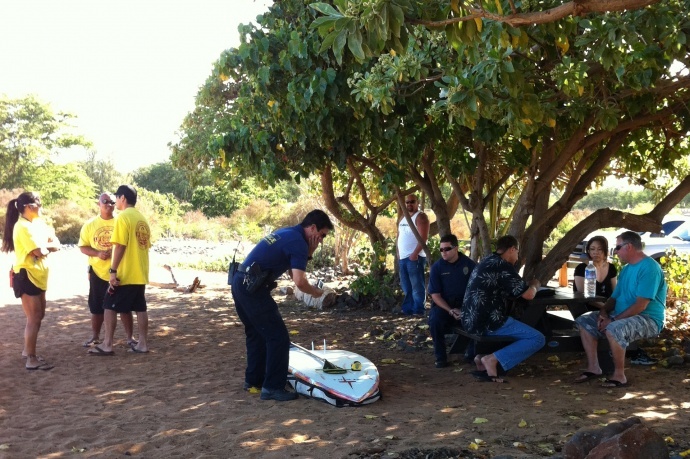 DLNR officers posted shark warning signs on a mile stretch of beach. After two hours of no sighting the beach was reopened.